September 7th, 2018 (9:14 AM). Edited September 17th, 2018 by Ethmya. Ludonarrative dissonance: "...the conflict between a video game's narrative told through the story and the narrative told through the gameplay." I planned to wait a while before I posted anything about challenges I want to do but everyone in the past gens subforum is making logs and lets plays, so I'll just jump right in. James and Eevee, as James. The Ludolocke is an attempt to resolve narrative discrepancies I, and others, experience when playing through the PKMN games. For example, we hear of all these terrible things Team Rocket does in Kanto. Beating a Marowak to death, stealing Pokemon from trainers, desecrating the graves of Pokemon, but we never see it. Whenever we encounter Team Rocket, they're a bunch of goofy, bumbling idiots that just barely function enough to be called a team. This challenge intends to build a narrative out of the player's experiences, and real, fleshed out characters out of the player's trainers. Only may catch the first PKMN in a route, unless the first PKMN is one already caught. The optional post-challenge is complete after the post-game is complete. "Only One" PKMN may only be owned by one trainer. If multiple trainers want the same only one PKMN, a friendly battle will decide who gets it. No "Out of Canon" trades. This means players within the challenge may trade with each other and NPCs in game, but not out of the challenge universe. 0 Intentional use of 'hard' glitches. o	This can be subjective, but in general I will classify glitches in two different categories. o	�Soft� glitches, glitches that may be encountered easily during normal play, such as switching a psychic type into another psychic type in gen 1 to stop it from using psychic moves, using hbeam to KO so it doesn�t have to recharge, using Poke Doll on Marowak, etc. Before the earliest opportunity to attain Poke balls, you may reset without penalty (for that sweet, sweet exp+early pokedollars) or continue without a game over. If you wipe after pokeballs, you have failed, and may not restart for this current game. Of course, you should nickname your PKMN, but I can't force you to do so. These rules are just par for the course. Now we get into the rules specific for this challenge. Until the post-challenge, you cannot box living PKMN. During the post-challenge, you may have up to 6 pkmn in boxes. Cannot use items in battle. Cannot leave a gym until it is completed or you wipe. Your starter is randomly determined. In each subsequent game you play the son/daughter of your previous character. You may inherit Pokemon from your previous character after you reach the point in the game where all trade pokemon obey. You may inherit 3 PKMN for clearing the main story, and 3 PKMN for clearing the post game. Any PKMN from one game may be inherited to any other in that game's gen or the gen afterwards. For example, if you catch Mewtwo in RB, you may transfer it to Y, GS, or C, but not to RSE if you sit all of those games out. Encounters are reset if you decide to brave the post-game, but if you start it you must finish or fail. Shiny clause is not real. Hax clause defo isn't real. These rules are intended to increase tension and put you more on equal footing with the NPCs in the game, although you are at a bit of a mechanical disadvantage since you can't use items in battle, surely you are smarter than them! That's all the rules for the game, but there are a few more narrative requirements I would like you to complete if you'd like to join! I'm going to be writing (and probably drawing some key scenes!) a narrative detailing the experiences of the players, so your trainer will become a character in the story, and you filling this out will help me write them well, realistically, and most importantly, compellingly. Personality (Short, 2 sentences-1 paragraph. A concise, crash course detailing your character's personality. A list of adjectives is acceptable. To enroll, just reply in this thread saying you'd like to sign up. You can either post your trainer info here in the thread or in a PM/VM. If you decide to enroll, I will randomly choose a starter PKMN (with only PKMN that do not know attacking moves on start, such as Abra, Magikarp, and Ditto being excluded) and write you a character sheet that includes an analysis of your team core, suggested moves, suggested teammates, and a list of important match ups. Of course, these are all only suggestions and you may follow or discard them as you wish. I've attached an attachment which is a word doc showing what your character sheet would look like, but if you, understandably, don't want to download a file from a random stranger on the Internet, the next post will show you what your sheet would look like, although it will lose some of its formatting. I'm currently no longer accepting characters for RB, but you may send me a PM if you wish to start at a later game. I can't wait to see how this goes! I am hosting the Ludolocke! September 9th, 2018 (2:44 AM). Edited September 9th, 2018 by Ethmya. Honest doesn’t want to be the very best, nor does he really wish to be a Pokemon trainer. He just has a hole in his heart he doesn’t know how to fill. Calm, cold, distant, aloof. Rational but occasionally abrasive. Has depressive episodes and angry outbursts, but generally good-natured. Wants to fill a hole. Doesn’t know what shape it is. coverage mons intended to patch their weaknesses. Any of them may be caught in any order. •	Jolteon. Resists Flying. Resists Electric. Neutral to Rock. Redundant with Magneton/Raichu. •	Dugtrio. Resists Rock. Immune to Electric. Neutral to Flying. Redundant with the Nidos. •	Nidoking. Resists Rock. Immune to Electric. Neutral to Flying. Redundant with Dugtrio/Nidoqueen. •	Marowak. Resists Rock. Immune to Electric. Neutral to flying. Redundant with the other mons in its class. •	Sandslash. Resists Rock. Immune to Electric. Neutral to flying. Redundant with the other mons in its class. •	Golem. Resists flying. Resists normal. Resists Rock. Resists Poison. Immune to Electric. A Golem coverage core means there is no decent move in gen 1 that can SE this team. Golem/Butterfree/Slowbro can literally kill this game by themselves, although it would be very tough. •	Rhydon. Same as Golem. Harder to catch. •	Butterfree/Slowbro/Raichu or Jolteon/Dugtrio or Nidoking or Nidoqueen or Marowak or Sandslash. 1. Oaks Lab Rival: Caterpie is the starter and only has Tackle. Nothing really to do about that besides hope she doesn’t die. Luckily, everyone gets unlimited resets before Poke balls. 2. Butterfree will straight up murder Route 22 Rival’s team. 3. Butter Solos Brock. If they had Rock moves it would be a different story. 4. Butter solos Cerulean City Rival. c.	Sleep powder and switch to Graveller. This will be a hard fight and is one of the places you are likely to wipe. 6. Butter solos the SS Anne Rival. 7. Butter has no business being in Lt. Surge’s gym. Let her sit the whole thing out. Graveller or Raichu can fill the void. 9. Graveller will take the lead for Rocket Hideout’s Giovanni, although Butter can solo Rhyhorn. She should not fight Kanga or Onix alone. This fight is easily wipable if you don’t pay attention. 10. Butter has no business fighting Lavender Tower Rival’s Eggy or Gyarados. Otherwise she is fine. 11. Butter has no business near anything that can blow up. Keep her out of Koga’s gym. Keep Graveller in. 12. Butter can Solo the Fighting Dojo. You should have Slowbro by this time. 13. Butter should stay away from Silph Rival’s Zam/Eggy/Gyarados. 14. Butter should be a high enough level to solo Silph’s Giovanni, although Kanga can still psyduck her up with a crit. 15. Butter has no business in Sabrina’s gym but neither does anyone besides Slowbro. 16. No Bugs allowed in Blaine’s gym. This is Slowbro’s paradise. 17. Butter should be able to solo Giovanni’s gym. 18. Butter should stay away from anything involving Blue at this point, his team is simply too strong for her. 19. Butter should stay away from Lorelei, this battle is for Raichu and Slowbro. 20. Butter can actually solo Bruno. 21. Butter can solo Agatha. 22. Butter should 100% stay away from Lance. The whole team besides her will have to come together to face him. 23. Same with the Champion battle. It’s a shame the starter cant really participate in the final main story battle, but gambling with her life this close to the end would be irresponsible. 24. Butter absolutely should stay away from Mewtwo. She shouldn’t even be in the cave, let alone in his room. Her career pretty much ends at Agatha. September 9th, 2018 (9:23 AM). This looks really interesting. I think I'll be playing Leaf Green for Kanto. Backstory: Jonathan is magician from Laverre City. After encountering real ghosts(?) on Route 14, he decided to investigate paranormal anomalies all over the world. He decided to go to the Kanto region's Lavender Town to meet with local Psychics and Channelers. Personality: Jonathan is smart, but overconfident person. He's always trying to act cool and cocky, even when he's on the edge of the defeat. He loves to go against the odds, sometimes chasing impossible goals. He's also enjoying attention of other people when he's performing magic tricks. September 9th, 2018 (10:02 AM). Edited September 9th, 2018 by Disturb Not The Harmony. All right, I'll sign up. Backstory: A young man from a dysfunctional background, he has a permanent chip on his shoulder and places faith only in his own strength. Wants to be "the very best" to prove those in his past wrong. Personality: Cocky, angry, bold. Prepared to barrel through anything. Relatively mentally quick, but may have poor attention to detail. I figure this personality will make it easy to explain any, er, misclicks. Edit: If it matters, I'll be playing Pokemon Blue. September 9th, 2018 (10:58 AM). Edited September 9th, 2018 by Ethmya. Its totally fine that you're playing Blue! I'll be playing Blue as well. You got Ratatta as a starter. I'll get your trainer sheet written up right now. See you soon, youngster Joey. September 9th, 2018 (12:04 PM). Edited September 9th, 2018 by Ethmya. A young man from a dysfunctional background, he has a permanent chip on his shoulder and places faith only in his own strength. Wants to be "the very best" to prove those in his past wrong. Slowbro, Hypno, Eggy, and Arty are all good partners for Raticate. •	Vileplume, if you’re desperate. •	All the legendary birds but esp Zapdos. A team similar to Raticate/Slowbro/Vaporeon/Victree/Golem/Fearow will be pretty much untouchable in game and will render it impossible to get SEs on this team. •	All you can do in Oak’s Lab is Tackle. Do it. •	Route 22 Rival will fall to Hyper Fang. •	Rattata with Hyper Fang solos Brock. •	(Assuming you have Raticate by now) Raticate will Solo Cerulean City Rival, even without Water Gun. •	You can’t outspeed Misty’s Star but Hyper Fang is so good early game it shouldn’t matter unless you get blasted by a crit. •	Raticate Solos the SS ANNE Rival. •	Unless, for some reason, you’re using Dig on Raticate, keep him out of Surge’s gym. •	Lavender Tower Rival should be alright unless you’re not using Tbolt and he has Gyarados. •	If you used BBeam on Raticate he’ll murder Rocket Hideout Giovanni. The only thing that stands a chance is Kanga, only because Comet Punch. A 5hit crit Comet Punch will kill Raticate. Its up to you if you wish to shoulder that risk. •	If you teach IB to Raticate then he will do fine in Erika’s gym but why would you waste that TM on Raticate? Let someone else take the spotlight. •	Keep Raticate out of Koga’s gym, don’t want a Weezing to blow up on you. •	Why would you even put Raticate in the Fighting Dojo. •	Unless Raticate has Hbeam and you’re a walking gen 1 damage calc, don’t throw Raticate in the Silph Co Rival fight. •	Silph Co Giovanni has a better team and a better moveset so Raticate should sit this one out. •	No self-respecting trainer will bring a Raticate to Sabrina’s gym unless they want him to die. •	Blaine’s gym will tear Raticate apart. A burn will render him completely useless. •	Raticate, funnily enough, can actually do well in Giovanni’s gym but a crit bslam will kill him so just don’t. •	Route 22 Rival will tear Raticate apart. •	Raticate should stay away from Lorelei. •	Unless you have Dig Agatha will murder your Raticate. •	There are too many Hbeams flying around in Lance’s fight. Don’t. •	Gambling with Raticate’s life just for a cool story against the Champion is irresponsible. •	Raticate is probably old and dying by the time you get to Mewtwo. Let him retire. September 9th, 2018 (12:24 PM). After a quick PM, Zem and I are on the same page! I will be back in a few hours and I'll write your sheet up then. September 9th, 2018 (1:50 PM). Edited September 9th, 2018 by Lrachelr5. Backstory: Lucy is very interested in archaeology and mythology from growing up in the Sinnoh Region so she has travelled to Kanto for exploration and learning. She wants to try and understand why Team Rocket would want to meddle in the creation of pokemon for personal gain and will stop them at all costs. Personality: Lucy can be rather timid because of being more interested in her work than social interactions. However, she is fiercely loyal to her pokemon and will do whatever it takes to protect the once closest to her. September 9th, 2018 (3:23 PM). Edited September 15th, 2018 by Ethmya. Jonathan's character sheet was so easy as Dugtrio is a really simple PKMN with a really shallow, but effective, at least in the midgame, movepool. Here it is! Jonathan is a magician from Laverre City. After encountering ghosts on Route 14, he decided to investigate paranormal anomalies all over the world. He decided to go to the Kanto region's Lavender Town to meet with local Psychics and Channelers. Personality: Jonathan is a smart, but overconfident person. He's always trying to act cool and cocky, even when he's on the edge of defeat. He loves to go against the odds and sometimes chases impossible goals. He also enjoys the attention of other people when he is performing magic tricks. •	Pretty much all the birds. This team is perfect. With this team (which would be quite easy to get, barring Pikachu/Jolteon) nothing in game can SE this team. This team needs no additional coverage. •	All you can do in Oak’s Lab is Scratch. •	Diglett can solo the Route 22 Rival but his defenses are garbage so you need to grind him up pretty high. •	Diglett can solo Brock. •	Diglett has really low defense so this first Rival battle, he should sit out. •	Diglett/Dugtrio will get mopped in Misty’s gym. •	A crit anywhere in SS Anne Rival will kill Diglett so pls don’t. 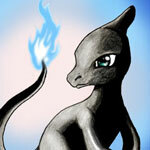 •	Here he starts to pick up steam as he should be evolved. Dugtrio will 100% murder Surge’s gym. •	Lavender Tower Rival should mostly be alright, only since the Rival’s mons are straight garbage. Of course, avoid Gyarados, if he has it. •	Dugtrio murders Rocket Hideout Giovanni, except Kanga. A crit Comet Punch will kill. If he hits more than 3 times, once, you are in big trouble. •	There is no reason to bring Dugtrio into Erika’s gym. •	You may think about using Dugtrio in Koga’s gym, but unless you’re a higher level than the gym PKMN, Weezing will almost always take a Dig and blow up on you, which will kill. •	Dugtrio can solo the Fighting Dojo. •	Silph Co Rival has several PKMN that will give Dugtrio a hard time. Venusaur, Gyarados, and Blastoise. •	Dugtrio should finally be strong enough to solo Silph Co Giovanni. •	Dugtrio speed ties with Alakazam in Sabrina's gym so will have to outspeed in order to win. If he eats a Psychic, he is going to either die or be really hurt. Otherwise, barring really unlucky crits, Dugtrio should be fine. •	Dugtrio will always win in Blaine’s gym unless first burnt. •	Dugtrio will solo Giovanni’s gym. •	Route 22 Rival is the same as last. Avoid Gyarados, Venusaur, and Blastoise. Otherwise, he is alright. •	Please stay away from Lorelei. •	Machamp is dangerous and if he uses Submission it can kill. •	Dugtrio should be able to kill Agatha. •	Dugtrio is so frail and will be murdered by pretty much any strong move from any PKMN whose name isn’t Dragonair. •	It’s the exact same but worse this time. September 9th, 2018 (5:42 PM). Edited September 9th, 2018 by Ethmya. After a quick PM, Rachel and I decided to make her character narrative-wise a girl. September 9th, 2018 (8:23 PM). Edited September 10th, 2018 by James and Eevee. Backstory: James ran away from his home in Johto a few years ago because his parents wouldn't allow him to become a Pokemon Trainer. He heard Professor Oak was giving away starter pokemon and today he woke up in Viridian City in the Pokemon Center. Guess it's time to start a journey. Personality: Before battles will take time to plan for the fight, but sometimes forgets the plan in the heat of the moment. Somewhat funny(sometimes, be prepared for bad puns) and always tries to protect his friends, even if it gets homself hurt in the process. September 9th, 2018 (9:18 PM). Edited September 15th, 2018 by Ethmya. This sheet was actually very hard! I realised I actually have never used Spearow in competitive nor in a challenge run in gen 1, so this is all theorycraft and speculation. Backstory: Lucy is very interested in archaeology and mythology from growing up in the Sinnoh Region so she has traveled to Kanto for exploration and learning. She wants to try and understand why Team Rocket would want to meddle in the creation of Pokemon for personal gain and will stop them at all costs. Personality: Lucy can be rather timid because of being more interested in her work than social interactions. However, she is fiercely loyal to her pokemon and will do whatever it takes to protect the ones closest to her. Spearow is weird. He has no movepool, a garbage typing, and no stats, but opposing PKMN tend to be biased towards Special, not Defense. He's better than Pidgeot but worse than Dodrio. Snorlax (in general while running with a Normal/Flying, you should be avoid normal types but Snorlax is just that good. • You have Peck in Oak's lab so you should be alright. If you manipulate the starter to have Bulbasaur you'll have an easier time later. • Route 22 Rival will be a piece of cake as long as you level to his level. • Spearow can solo Brock. • Spearow's defenses are just barely high enough for the Cerulean City Rival. • If evolved into Fearow, you can take on Misty's gym but if Starmie crits you are in big trouble. If Spearow isn't evolved yet, just keep him out this gym. • Fearow has the stats to take on the SS Anne Rival. • Fearow will get murdered by Surge's Raichu. gg no re. • Pretty much always should be avoiding Gyarados from here in the Lavender Tower until the end of the game. Otherwise, you should be alright. • Rocket Hideout Giovanni will really, really hurt Fearow. • Fearow will murder Erika's gym. • Koga's Weezing will murk Fearow if he blows up. • Fearow can solo the Fighting Dojo. • Silph Co Rival should be alright unless he has Gyarados. • Fearow will get killed by Silph Giovanni. • Fearow will get killed in Sabrina's gym. • Unless you know exactly which PKMN have Fire Blast and which don't, Fearow doesn't belong in Blaine's gym. • Fearow has big problems in Giovanni's gym. • Fearow has been rendered obsolete by Route 22's Rival's team. • Like everything in Lorelei's gym will 1hko Fearow. • Bruno actually have PKMN with Rock moves, thats dangerous, stay away. • As long as Fearow isn't sleeping, he should be alright against Agatha. • Fearow has no place staring down Dragons. • Even an Hbeam from a level 100 Fearow won't kill Mewtwo unless it crits. September 9th, 2018 (9:25 PM). Edited September 16th, 2018 by Ethmya. ---> None of these are applicable in RB as we are not using these starters at all. ---> The fossils these mons come from must be obtained to progress, but only those who claim these will be permitted to use them. Pretty sure thats all of them. Feel free to let me know if I missed anyone! How do I claim PKMN? Simply reply in this thread and say which only one PKMN you wish to claim. What does it mean to claim a PKMN? If you are the only one who claims a PKMN when you reach them, then they are yours. What happens if more than one person claims an only one? A dispute is when more than one person claims a only one PKMN. If a dispute occurs, both trainers wait until they have access to the only one PKMN and battle for it. Of course, no faints are considered as deaths here. This can be done on Showdown very easily. September 9th, 2018 (9:46 PM). Edited September 9th, 2018 by Disturb Not The Harmony. EDIT: WHOOPS. Sorry, I was writing the update and didn't see the latest post. For what it's worth, I am deliberately not claiming any "only ones", so I shouldn't be interfering with anyone else's roster. Used a randomizer to change Bulbasaur to Rattata. I have a good reason for Bulbasaur in particular, namely that Charizard is the only Rival starter that can disable itself by locking itself into Rage. Blastoise is arguably worse than Gyarados and Venusaur, unlike Exeggutor, has STAB. Rival is named... Rival. :P I figure the real name will be determined by the writer. Got my L5 Rattata named Scrapper. Beat Rival legitimately by Tail Whip x2 + Tackle x 3 or so. ...caught by reflex rather than remembering it would clog a team slot. Oops. Um... at least I'm in character? Since training a Spearow was so easy in the Forest, I leveled Griff to L10 before the Gym. Jr. Trainer: missed on first Hyper Fang, hit second. Hit both Hyper Fangs on Sandshrew. Healed afterwards and hit Brock. Brock was... rather uncomfortable and rather close. Hyper Fang missed repeatedly on Geodude, and I ended up actually switching to Kakuna and Griff at points, if only to nullify Onix's Screeches on Scrapper. All ended up in single digits. Fortunately Screech also had abnormally bad accuracy, or I would have had to switch out even more, and that would have gotten even uglier. That is the worst hit rate I have ever seen from a 90% move. I would have been in a... very awkward position if Geodude's AI hadn't had mercy and spammed Defense Curl after the first couple of turns. What even happened there? Between Hyper Fang and Screech, it seemed like any move that COULD miss did. That's still so weird. Mt. Moon first encounter was a Zubat. I deliberately did NOT catch that. I have only one Pokemon that can learn Water Gun, so Scrapper it is. First encounter with a Rocket was handled via Hyper Fang. The second one went similarly. In fact, anything that wasn't handled with Water Gun went similarly, except for the Bug/Grass users who were gifted to Griff for EXP. Kakuna finally evolved. Because Gen 1 is a masterpiece of game design, it didn't actually learn Fury Attack until L12. The L16 Raticate Rocket... used Quick Attack on the first turn and immediately dropped to critical Hyper Fang. That was very satisfying. And, in a happy coincidence, Scrapper evolved into Raticate with the EXP from that battle. Took Dome Fossil because, memes aside, I've always liked Kabutops a lot more than Omanyte. If there should be a gameplay excuse, Gen 1 Slash hits 100% of the time if your base Speed is 65 or above. I'll probably not need the Fossil, though. Those two consecutive misses are captioned "at least I had Sand-Attack as an excuse this time". That aside, I used Abra as an opportunity for free switches to cure Sand-Attack, and the rest of Rival's Pokemon dropped in one Hyper Fang each. I went on to clear the rest of the bridge without healing, though I used Quick Attack on a few due to Hyper Fang's middling PP. The only time I missed was against the boy with a Mankey, which took the opportunity to take off about a third of Scrapper's HP with a critical Scratch. I'm beginning to think the game has a sense of humor about the misses. Opted out of the first encounters for the two routes above Cerulean (Bellsprout and Metapod). Grass becomes painfully obsolete in E4 because Lorelei's Pokemon are Ice-type. Honestly, Gyarados would be better. Hyper Fang missed against Goldeen (and resulted in one self-attack from Supersonic that was immediately Potioned post-battle), but it missed against neither the Swimmer nor Misty herself. Thanks to her fabulous AI deciding to X Defend on Starmie's first turn, it dropped without getting a hit in. If not for a single Tackle from Staryu, I could have cleared her without any damage whatsoever. Oh, Gen 1. Never change. The road to Vermillion went well. The obnoxious L20 Butterfree dropped in a single hit, which I only mention because the thing's given me trouble on other Nuzlockes and the OHKO was very satisfying. I used Repels for a guaranteed catch in Diglett's Cave and... er... had a very interesting experience as the L29 Dugtrio proceeded to dodge 10 PokeBalls in a row. Griff blessedly soaked a Tackle before I threw the final ball that caught it. This may be the one time I've been grateful to be hit with multiple Sand-Attacks. Scrapper had 18/79 HP left by the end of it and Griff had 4/37. East of Vermillion unfortunately failed to get a Drowzee as a first encounter (Spearow). I fish up Magic the Magikarp in Vermillion instead. To add insult to injury, the next two three Pokemon I find while grinding there are Drowzees. The only notable occurrence on the S.S. Anne is that Triad the Dugtrio got its first use in battle when Scrapper got hit by a Shellder's Supersonic on a switch-in and met its most terrible foe: itself. After failing the Confusion roll 3x and going down to 27/87 HP, I decided to throw up my hands and have Dugtrio finish the job. Hyper Fang-Hyper Fang, Hyper Fang, Hyper Fang, Hy- two consecutive misses AGAIN? Hyper Fang. Beedrill did the first useful thing in its life when it learned Cut. Nope, there's only trash there. In other words, I had an L29 Dugtrio. The trashcans took about as much time to solve as it took to fight the Trainers and Surge combined. Thanks to the magic of constant Repels, I made it through Rock Tunnel without an actual encounter. Magic even obligingly evolved after the last Trainer battle of Rock Tunnel for a nice finish to this play session. There's an interesting little issue in Red/Blue called "Lt. Surge is the only significant Trainer that remembers to use Electric-type attacks". Gyarados, which can get BoltBeam coverage via TM, is stupidly OP for this reason. I can also run two Flying types for the same reason. I plan something like Raticate/Fearow/Dugtrio/(unknown Psychic)/Gyarados for this reason. I can fit another Pokemon if Beedrill has an... unfortunate accident... but that's not necessary. I know I can Repel for L37 Slowbro in Seafoam Islands if I have to do so. If Beedrill keels over, Gastly is the likely replacement. September 10th, 2018 (6:19 AM). Edited September 10th, 2018 by Ethmya. Backstory: James ran away from home a few years ago because his parents wouldn't allow him to become a Pokemon Trainer. He heard Professor Oak was giving away starter pokemon and today he woke up in Pallet Town in this nice lady's house. Guess it's time to start a journey. After a few PMs James is now part of the locke! James, your starter is Nidoran. Lucky you, you get to pick which one! September 10th, 2018 (7:56 AM). September 10th, 2018 (8:08 AM). Edited September 10th, 2018 by Ethmya. You can fill the sixth, I just had no recommendation for that slot so I left it empty. A lot of times in nuzlockes you want to run teams of 4-5 instead of 6 anyway. September 10th, 2018 (8:47 AM). This seems too fun, am I too late? :( This always happens lmao. September 10th, 2018 (8:49 AM). September 10th, 2018 (8:56 AM). September 10th, 2018 (3:05 PM). Edited September 13th, 2018 by Lrachelr5. Seeing as I can't randomise my starters I was allowed to use Squrtile until I caught Maleficent the Spearow after doing the Oak delivery. I caught Evie the Nidoran female seeing as Maleficent was meant to be my starter I didn't count it as my Route 22 encounter. I thought I was going to make it through Viridian Forest without any encounters but I ended up with Dizzy the Metapod who I began to switch train. Made it to Pewter City and then did a lot of grinding, managed to beat Brock with Maleficent by first spamming leer and growl when he would go for bide then attacked with peck. Headed on to Mount Moon and caught Jay the Geodude and started training him as I continued on. Managed to beat my rival Cameron near Nugget Bridge and lost Dizzy to a double crit Karate Chop from a Mankey on Nugget Bridge. Then managed to catch an Abra cause I am determined to use one on my team and named it Florian before heading to Bill's house using the trainers to train up Florian. Decided to also evolve Evie into Nidoqueen at level 16 because I value having body slam over bite given what my team will be. After helping Bill I decided that this would be the time to stop before I finish training Florian to evolve and then take on Misty's gym. September 10th, 2018 (7:42 PM). Edited September 10th, 2018 by Ethmya. Unfortunately, I dropped my laptop and broke the monitor. This isn't a big deal as I have a desktop, but I may get things out slower until it is fixed in about 3-4 days. I also won't have any of my footage, which is a shame, because I had some fun gifs and images, but I'll edit them in later. Note, this is not the narrative, merely the exact things that happened to me in game. After waking up, grabbing the pot from the PC, and talking to mum, I tried to leave Pallet Town and Oak stopped me. I went into his lab, picked up my Caterpie, named her Anartia, and manipulated Blue into taking Squr. This was mostly because he has the lowest attack stat of the three and I don't want to deal with Charizard later if I'm rocking the Pie. I beat him legit after several attempts. After leaving the Lab, I was forced to train Anartia to level TEN on Route 1 simply because she was so weak. After hitting 10 (and then 11!) in Route 1, I went and progressed the main story. I took the custom ball to Oak and he gave me a Pokedex. I then went and grabbed the Town Map, not really because I don't know Kanto but because there are no Route/City notifications so I wanted to make sure of my encounter Routes, some of them are really close. Bought some Pokeballs, went to Route 1, encountered Ratatta. passed. Went to Route 2, encountered Caterpie and then Ratatta. Passed. Went to Viridian Forest, was hoping for Pikachu, got Metapod instead. Went to Route 22, got Spearow, thought about it for a second, then remembered the analysis I did for Lucy and passed, lmao. Fought Route 22 Rival and embarrassed him. Went through Viridian Forest with no problems. Mopped up Brock, no problems. Almost got killed by that level 14 Spearow, but otherwise, no problems. Bought the Magikarp at the Route 4 Pokecenter, named him Leviathan. Trained Leviathan to 10 and caught a Geodude. Named him Seism. Trained Seism to 10 very easily and gave him the Mega Punch TM. Embarrassed the Team Rocket Grunt with the Raticate and moved through MT. Moon with no further problems. Took Kabuto's fossil but will probably never use it. Was hoping for a Sandshrew, got Ratatta. Passed ofc. Embarrassed Blue again in Cerulean City. Completed the Nugget Bridge with no problems. "I saw your feat from the grass!" Was hoping AGAIN for Abra but got the sprout instead. Tricked the trainer in front of Seismic Toss and copped it early. Laughed at Bill's stupidity but saved him anyway. Got Dig from the Grunt. Went ahead and did Misty, almost lost Anartia to a crit BBeam while she slept Starmie but she hung on with 9HP, scared the muk out of me. Started the trek to Vermillion. Got to Vermillion with no problems. Gets the Old Rod and the Bike Voucher. Catches a Magikarp, named him Levi-II. Promptly put him in the Day Care Center so my incompetence doesn't get another Magikarp killed. Went into Diglett Cave and caught a Diglett. Named him Scalopus. At this time Anartia and Seism are about level 30 each. Okay so that's two down. I leave and go right and hope to find Sandshrew/Hypno. I don't remember what I got but it wasn't them. I'll check and update when I get my computer back. I clear out this route and check around for hidden items. Why does this tree have an Escape Rope on it? Go to the next route and remember theres nothing there yet. Go back to Vermillion, enters the SS Anne. Plugs around, beating sailors up and whatnot until an NPC says something that shakes me to the core. "I LIKE FEISTY KIDS LIKE YOU." That's defo going in the narrative lmaoo. I teach Bslam to Seism, clear out the SS Anne and easily beat the Rival. I get Cut from the Captain and leave. With that, I thought that was a good place to stop. Anartia the Butterfree. Level 35. Seism the Graveller. Level 34. Leviathan the Magikarp. Level 10. Scalopus the Diglett. Level 23. Catching Slowpoke is pretty likely so I'll probably be able to do that. I was hoping for Pikachu so I didn't have to claim the Eevee but I got Geodude who covers Electric so I'm no longer claiming Eevee. FFR, 'fodder' mon is the mon I'm most willing to sacrifice for a free switch as a last resort. I will never fodder my team core, which is Butterfree/Golem/Slowbro, which makes Magi/Gyara the fodder mon by default. September 11th, 2018 (10:34 AM). Edited September 11th, 2018 by Brewmaster. Thank you for letting me participate. Vain, self adsorbed, Naive, Dense, Obtuse, believes shes perfect in every way. September 11th, 2018 (9:05 PM). Alright, I've got my monitor fixed. Brew, your starter is Vulpix. I'll have James' and Brew's sheets done tonight! September 11th, 2018 (9:18 PM). Edited September 11th, 2018 by Ethmya. You may have noticed that in the initial post, there is a new section detailing the rivalries between the characters. Here is what that means, exactly. These feats all gain points. Performing poorly will cost you points. For the purposes of the narrative, your characters will meet early in the story and form a relationship. It does not necessarily have to be a competitive/negative one, but they will be linked very early on. It will be up to you to choose how the relationship with your rival forms. This is all intended to increase interactivity with the challenge and the overarching narrative. I hope you enjoy this new layer of participation!